Buy Pride and Prejudice and Zombies or the original novel from Amazon. You too can earn money from writing articles by signing up for InfoBarrel. 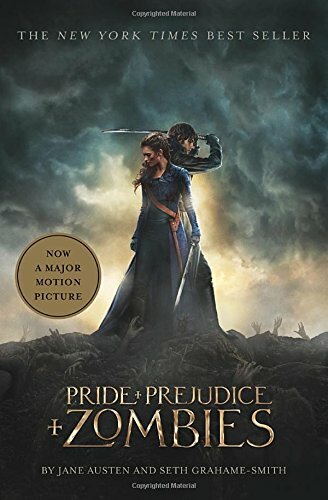 Pride and Prejudice and Zombies is based on the novel of the same name by Seth Grahame-Smith which is itself based on the Jane Austin novel Pride and Prejudice. It opens with Colonel Darcy (Sam Riley, Maleficent) visiting Netherfield Park, following up rumours that there is a zombie on the premises. In their early stages, zombies are not easy to distinguish from the living - indeed, they look like the living and can even talk. It seems that only in the later stages do they turn into the ravening creatures with a hunger for human brains. Whilst Darcy reveals and kills a zombie, he misses a second - not entirely through his own fault - and Netherfield Park is overrun, with all the inhabitants killed. The events in Britain from the beginning of the eighteenth century to the beginning of the nineteenth - it is now slightly into the latter, the same period that the original book was set - are then narrated over the opening credits. A plague had been brought from the colonies (it isn't made clear what has happened to the rest of the world) and much of Britain has been overrun by the dead who had risen from their graves. A wall, called the Great Barrier, has been built around London and some distance outside the wall, a water barrier called the Royal Moat was dug and the land between the two is called the "In-Between." After zombies invaded the In-Between using the bridges over the Royal Moat and slaughtered the inhabitants, all but one of these was destroyed. Since the invasion was defeated, the country is mostly at peace, although the zombie threat remains, and the aristocracy has moved out into the countryside where they live in fortified manor houses and stately homes. 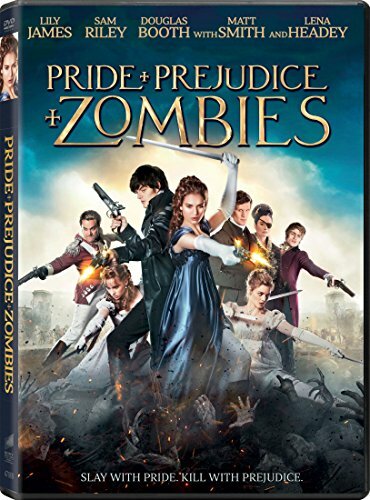 Credit: https://en.wikipedia.org/wiki/File:Pride_and_Prejudice_and_Zombies_poster.jpgThis has been narrated by Mr. Bennett (Charles Dance, Dracula Untold, The Imitation Game, Underworld: Awakening) as his five daughters sit around him maintaining their weapons. The rich study Japanese martial arts, but the Bennett family has studied Chinese, which has made them outcasts to a degree. Mrs. Bennett (Sally Phillips) is desperate to marry them off well, to well off men - on Mr. Bennett's death, the estate has to go to a male heir, which is currently their cousin, Parson Collins (Matt Smith, Terminator Genisys), and who is not highly regarded by most of the family, although he is eager to marry one of the sisters - and there is a potential suitor here. It is some time since the massacre at Netherfield Park and a new owner, Mr. Bingley (Douglas Booth, Jupiter Ascending) has moved in. His best friend is also Mr. Darcy. The sisters, Jane (Bella Heathcote, Dark Shadows, The Rewrite), Elizabeth (Lily James), Lydia (Ellie Bamber), Mary (Millie Brady) and Kitty (Suki Waterhouse) agree to go to a party there. Jane is widely considered to be the most attractive of the Bennett girls, and catches the eye of Mr. Bingley. Mr. Darcy is rather dismissive of the rest, and Elizabeth overhears. She is not impressed. The party is attacked by zombies, and the sisters join the fight. Darcy is rather more impressed by Elizabeth when he sees her fight. Becoming attracted to Elizabeth despite himself, Mr. Darcy's attempt to woo her fails, partly because he did it in such a way that it sounded insulting (saying that you are attracted despite your better judgement and her inferiority is hardly the most flattering or romantic affirmation) and partly because of how he treated both her sister, Jane, and Lieutenant Wickham (Jack Huston). For much of the film, Mr. Darcy's relationship with Elizabeth is prickly to say the least. The story is a little muddled, which is possibly not a great surprise, as the original story has been combined with a zombie apocalypse plot, so said story has been crammed in between zombie encounters. Indeed, what it feels like, at least at the beginning, is a love story which is every so often interrupted by attacking zombies. It takes a while to get the hang of the plot; in fact, it takes a while to realise that there actually is a plot, for one is not readily apparent to start with, it seeming to be a combination of zombie encounters and attempts to find husbands, making it more a mish-mash of incompatible stories. It does finally start to get its act together later in the film, and the actual zombie plot is revealed. Britain appears to be occupied by three types of people - aristocrats, their servants and soldiers - and quite who produces anything, or how they can do it when the countryside is unsafe, isn't made clear. Possibly this holds true to Jane Austin's original work. As well as the addition of the titular zombies, there is also an element of humour that wasn't in the original story. Whilst getting dressed for a party, the Bennett sisters put on things such as corsets, garters and stockings, but with the addition of knives, daggers and guns, and Elizabeth's reaction to a proposal of Darcy's is rather more violent than would have originally been the case. The addition of humour makes the film a little more light-hearted than might otherwise be the case, as it is, at times, quite a messily gory and bloodily violent film - although it is hard to have zombies without the presence of, often bloody, violence. There are some changes to the original plot, too (besides the obvious one of Britain being overrun by ravening zombie hordes), but by and large the story where zombies aren't concerned holds generally true to the original, with one major exception. The concept of the film is quite an interesting one; altering a classic love story by making the country rather more dangerous due to the introduction of flesh-eating zombies. The execution doesn't really hold up to the promise of the concept, though. Trying to keep as much of the original story as possible would seem to have damaged both that and the new story. Whether it could have been done differently is another question; too much rewriting of the story may have destroyed what was being attempted. Overall, Pride and Prejudice and Zombies is a nice idea that just doesn't quite work as well as might be hoped; it's reasonably distracting comedy horror with the occasional decent moment, and decent performances by the cast, some of whom have costume drama experience, but not much more than that.